In a city where none of the taxi drivers speak English, you’re going to need a lot of help getting around. The searchable Taxi Guide Apps display thousands of addresses in big, bold text to make sure your driver knows where to go. Featured by Gizmodo, the Taxi Guide series has been highly rated on the iPhone App Store, with an average rating of 4.5/5 for the Beijing and Shanghai guides. Don’t speak Chinese? Arabic? No worries. Just show drivers the Taxi Card. They’ll read the address and know exactly where to drive you. Sometimes it’s difficult to find your way home after a long day of wandering. Where am I? Where’s the nearest subway station? Or maybe the closest restaurant that serves Peking Duck? Using the iPhone’s built-in location services, the Taxi Guide Apps know where you are, and can sort your search and browse lists by distance from you. That way, you can easily orient yourself in one of the world’s most confusing cities. With thousands of the addresses of the cities’ most popular venues, the hardest part is deciding where to go. Why carry books or shuffle cards all day? Just bring your iPhone. 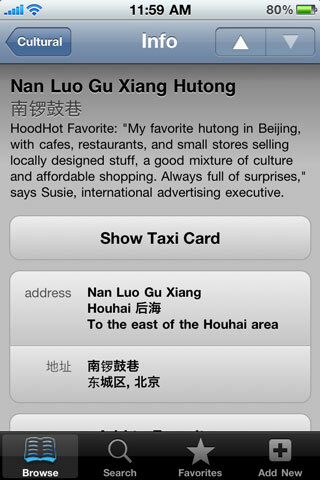 Some addresses, like those of your friends, or your home address, you don’t want included in the HoodHot database. But you’d still like to carry them along with you – and now you can. 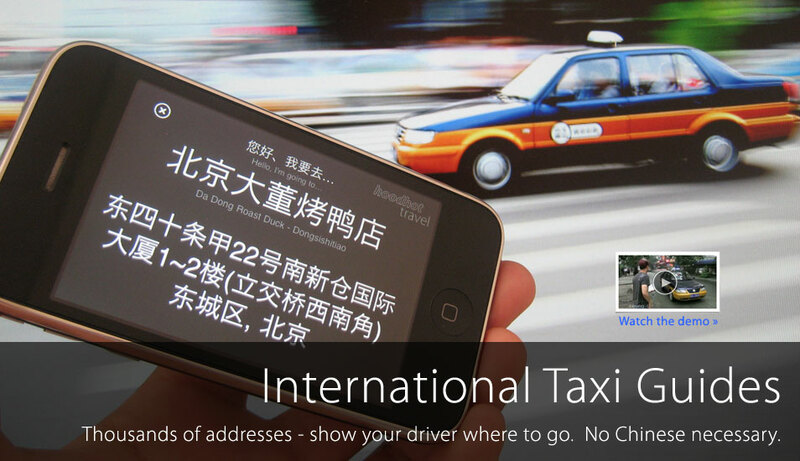 Copy and paste the address in from an email or website, or ask a local friend to type in the custom Chinese address. That way, you can have any address you like. Friends can’t find the Chinese address? Just because your friends don’t have iPhones or iPod touches doesn’t mean you can’t still hang out! Using CardShare, you can instantly SMS or email them the Chinese address for the venue, so that they can use their own phones to get there. Isn’t sharing fun? Sightsee. Or hang out with the locals – with ★ HoodHot Favorites* from DJ Wordy (China’s champion hip-hop DJ), Beijing University students, restaurateurs, and local/expats, you can be sure that Beijing’s best is only a few taps away. No Data Necessary. Download The Taxi Guide apps before you leave for China – even though the app is only a few megabytes, we make sure to store all information on the device, so you can avoid the expensive roaming downloads. 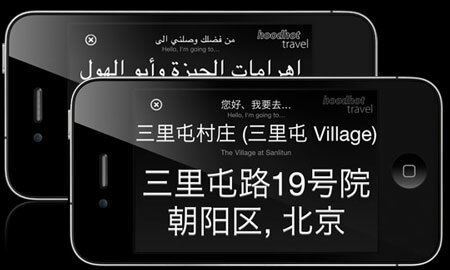 If you do choose to have a roaming plan, unlock maps and enhanced trip planning capabilities, including route guidance from Google Maps, as well as the ability to open the links to review sites such as CityWeekend, TheBeijinger, and SmartShanghai.